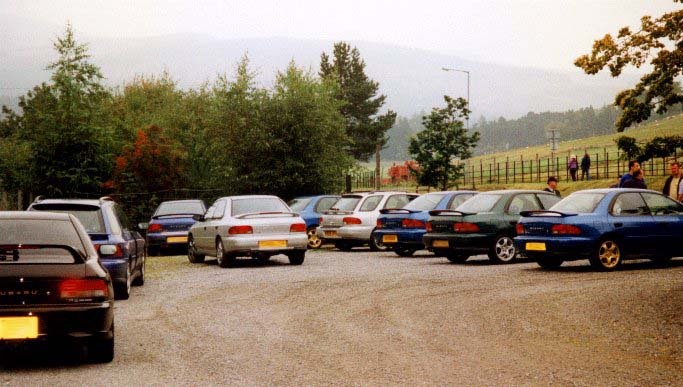 September 27th 1998, the first Scottish meet was organised by John Stewart in Aberdeen. Thanks to John for the pictures. A wheel! 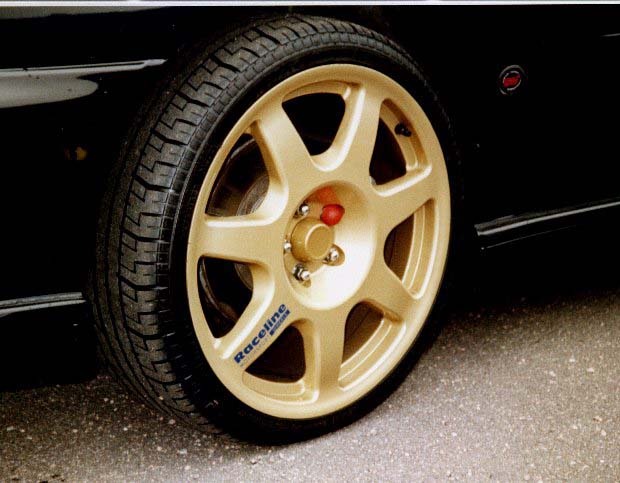 An 18 inch in fact by Raceline Alloys, utilising a 35 profile tyre on an WRX STi 4 type R (yes they clear the caliper and wheel arch at the same time). 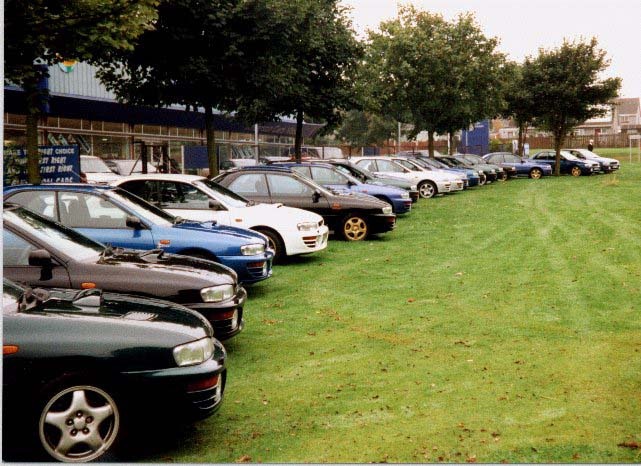 What is it about Imprezas and grass? 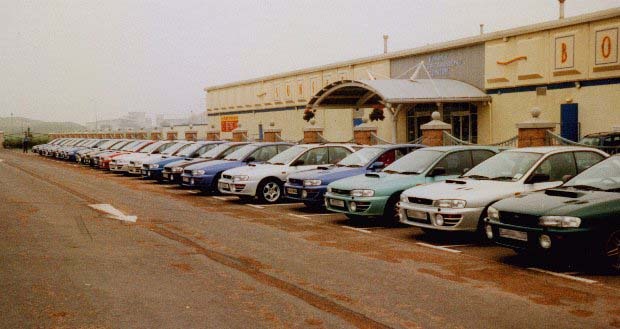 Down by the seafront. 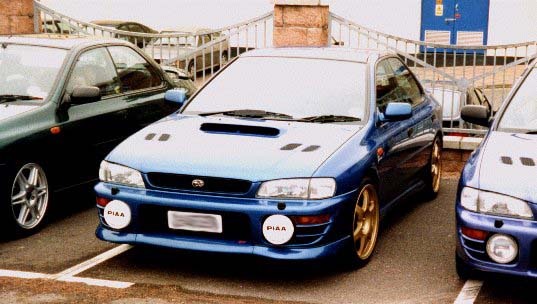 Note the mint green turbo. Return to the Clusters Index. Copyright © of photographs remain with source, used here by permission and may not be copied without consent.